The Boston Museum of Fine Arts hired a Weimaraner named Riley to help keep the museum pest-free. Sadly, he works behind the scenes. True to the centuries-old rebel spirit of her home city, the museum is a harmony of traditional and modern. Its neoclassical main wing merges beautifully with a wing by legendary Chinese-born modern architect I. M. Pei. The collection is just as diverse, ranging from early Egyptian to cutting-edge Modern. Enthusiasts equate the MFA with an American Louvre for the size, variety and caliber of its 450,000-piece collection. One can see the best European master paintings outside Paris, including Rembrandt and a who’s-who of French Impressionists. But make no mistake … this is an American museum. It is home to some of America’s most iconic images including Gilbert Stuart’s famous unfinished portrait of George Washington (which made a cameo in The Simpsons and on, well…the dollar bill); John Singleton Copley’s Watson and the Shark and Paul Revere; and a work that is American in spirit if not in origin, J. M. W. Turner’s The Slave Ship (one of the few Turners outside London). And don’t miss the hall of John Singer Sargents displayed next to the actual decorative objects that appear in the paintings. If you’ve had your fill of rich white people art, enjoy the extensive arts of Asia, Oceania, and Africa. Music lovers can enjoy a collection of historical instruments. Or if you subscribe to the Zsa Zsa Gabor approach to art appreciation, check out the glamorous fashion and jewelry collections. The Museum is renowned for it’s prestigious art school, founded by Francis Davis Millet. Millet was a socialite and artist with homosexual leanings and a human blood fetish. He served in the Civil War at the age of 15, and claimed the vivid reds in his paintings came from his experiences of battlefield surgery. He later lived la vie boheme in Venice with a reputed gay lover, was BFF’s with Mark Twain, and famously went down on the Titanic. How did he ever find time to start an art school? Fans also note the museum’s kid-friendly atmosphere, free admission on Wednesday nights, free street parking after 6:00 p.m., and proximity to Boston’s trendy Fenway area where hungry art lovers can grab a bite of world cuisine. If you’re unimpressed by New England sushi, hop an international flight to MFA’s sister branch, The Nagoya/Boston Museum of Fine Arts, Japan. Why have a museum in one continent when you could have it in two…amiright? 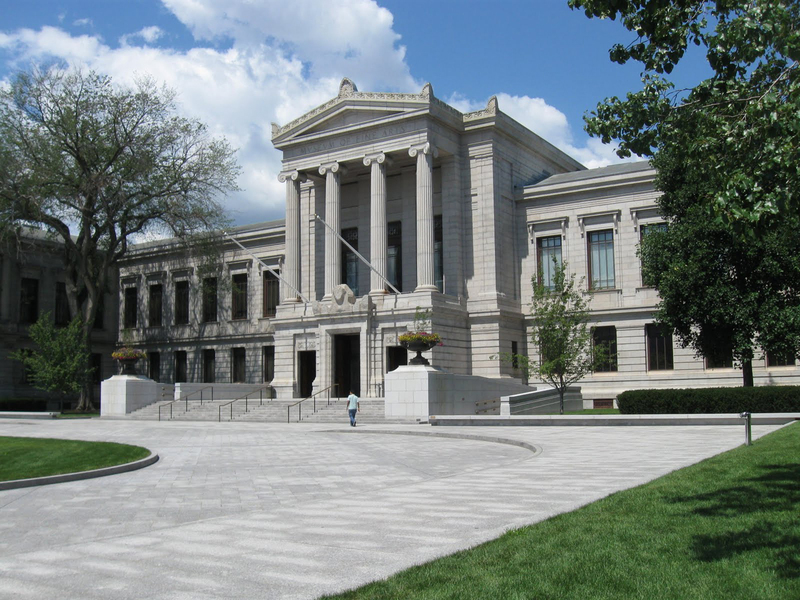 The Museum of Fine Arts in Boston, Massachusetts, is the fifth largest museum in the United States. It contains more than 450,000 works of art, making it one of the most comprehensive collections in the Americas. With more than one million visitors a year, it is the 60th most-visited art museum in the world as of 2017. Founded in 1870, the museum moved to its current location in 1909. The museum is affiliated with the School of the Museum of Fine Arts at Tufts. Check out the full Wikipedia article about Museum of Fine Arts, Boston.